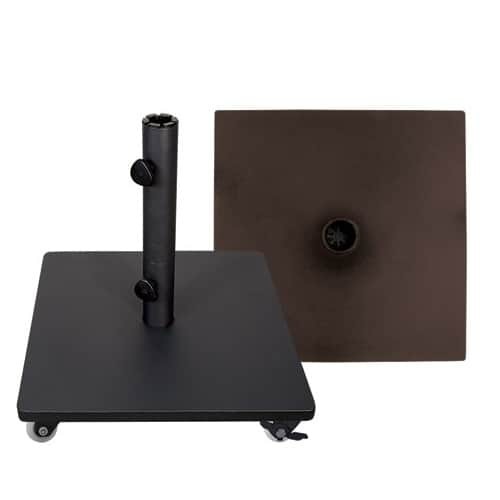 A low profile and super convenient heavy-duty umbrella base! This versatile stand will work for nearly any umbrella; from a small garden to an extra-large market style. It is the perfect solution if you want a portable free standing umbrella that can chase the sun around your patio and patio furniture! The Steel Base with Casters Umbrella Base by Treasure Garden is suitable for residential use, but is also spot-on for commercial applications, especially when moving umbrellas is part of an everyday routine. Constructed of heavy-duty steel and powder-coated for protection, this umbrella base is designed to last. It has four nylon casters that make it easy to roll, but will also lock when you want it to stay put. The umbrella stem is over-sized to accommodate the biggest umbrellas, but it also comes with a reducer to accommodate the average umbrella pole, which is around 1.5” in diameter. 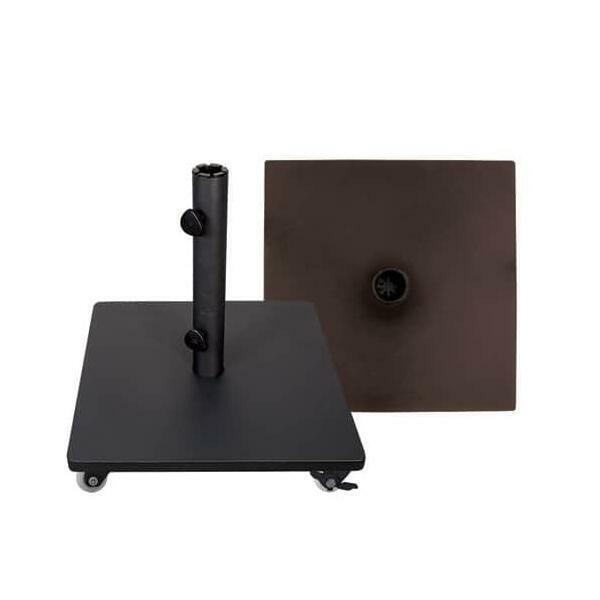 The Steel Base with Caster Umbrella Base by Treasure Garden is available in versatile black or bronze finishes. Stem Converts 6.5” – 11” – 17.5"